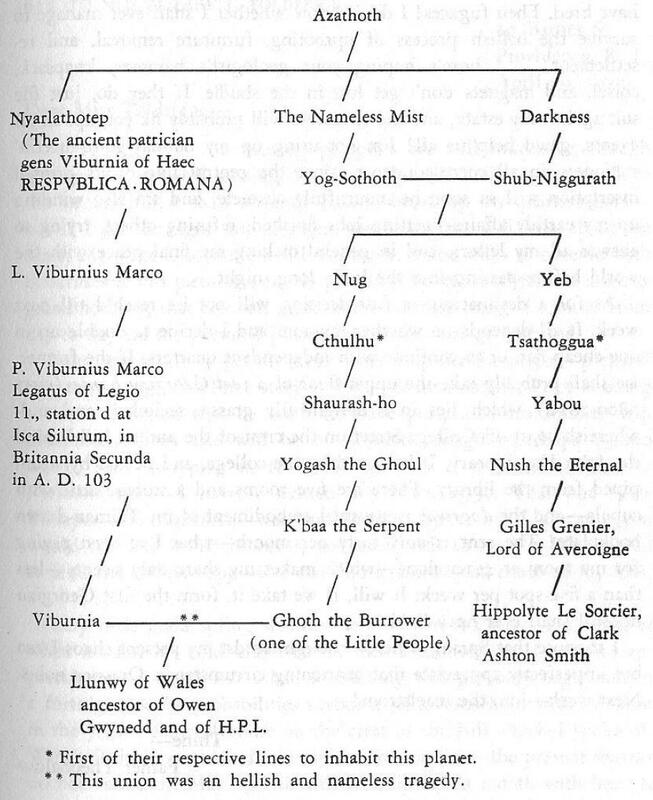 As identified the “Genealogy of the Elder Races,” Yog-Sothoth may be thought of as the “grandfather” of Cthulhu. A “sexual” union or merging between Yog-Sothoth and Shub-Niggurath, produced Nug and Yeb, who in turn gave rise asexually to Cthulhu and Tsathoggua, respectively. I feel very awkward using such human or even Terran terms such as grandfather and sexual when describing the relationships among these entities since their biology, and possibly their physical and chemical nature, is very different from ours. Sexual implies, at least relative to life on Earth, a re-shuffling or recombination of genetic material from mother and father to produce offspring with a slightly different genome; not an exact copy of the mother or an exact copy of the father. In turn, this increased genetic variation may be better adapted; this is one of the genetic engines that drive natural selection. However, in the case of Old Ones, such Earth-definitions more than likely do not apply. Instead of grandfather, the relationship between Yog-Sothoth and Cthulhu maybe better described as Cthulhu being the offspring of Yog-Sothoth on generation away. The reason for this more nebulous description is the fact that Cthulhu was produced from Nug through a form of undocumented asexual reproduction. Was this simply a case of Nug getting large enough and splitting into two distinct entities like an amoeba? 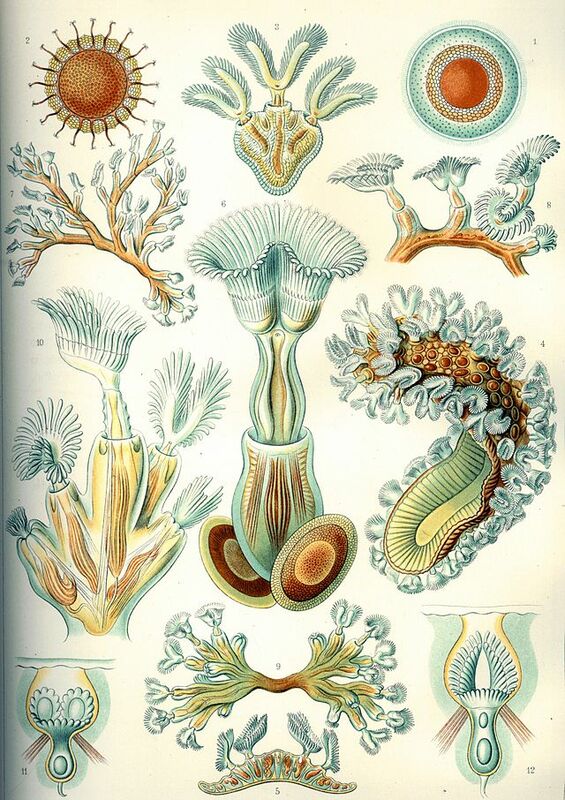 Or did Cthulhu “bud” off of Nug in a manner similar to that observed in bryozoans or coral? Or was Cthulhu a fragment or piece of Nug that broke off to develop on its own, floating in the inter-dimensional foam? Such growth through fragmentation commonly occurs in many invasive freshwater plants such as Eurasian watermilfoil or hydrilla. However, none of these terms well represent the relationship between Nug and Cthulhu since all of these forms of asexual reproduction result in clones; the offspring are exact copies of the parent whether we are talking about amoebas, bryozoans or aquatic plants. 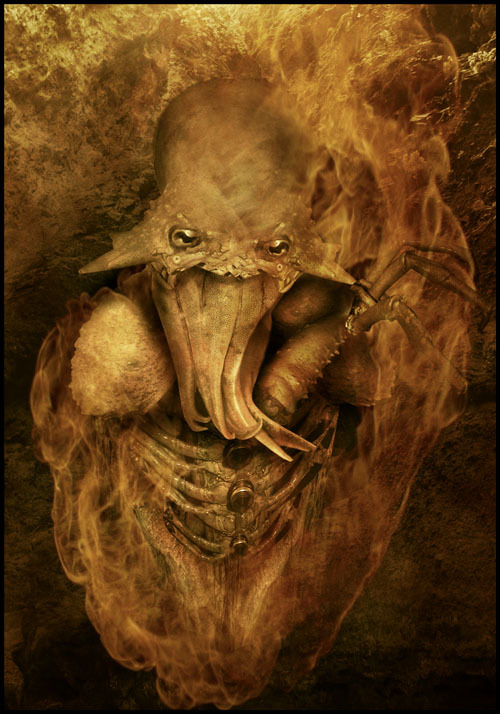 Based on what little information we have Cthulhu does not appear to be a clone of Nug. Thus, our limited experience with Earth-based biology cannot be used to accurately describe this strange relationship. So do we know any more about the relationship between Yog-Sothoth and Cthulhu? Yog-Sothoth is not mentioned in “The Call of Cthulhu” but Cthulhu is mentioned in “The Dunwich Horror.” In “The Dunwich Horror” as Wilbur Whateley is reading the Necronomicon in the library of Miskatonic University, Dr. Henry Armitage looks over Wilbur’s shoulder to see what passage he is reading. It is this passage where we hear about the Old Ones and that “Yog-Sothoth knows the gate. Yog-Sothoth is the gate. Yog-Sothoth is the key and guardian of the gate. 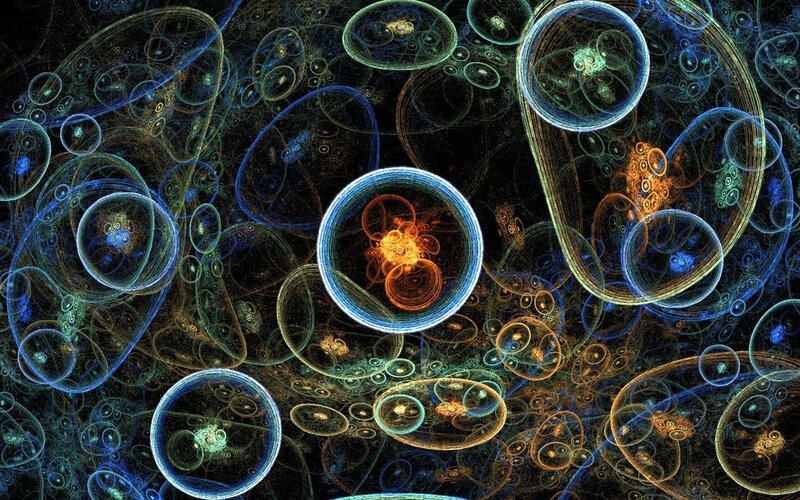 Past, present, future, all are one in Yog-Sothoth.” As mentioned in the previous article this passage indicates that Yog-Sothoth is somehow the source or connection between the Old Ones and our reality. In addition, it also refers to the fact that the concept of time is very different to Yog-Sothoth. Getting back to Cthulhu, the passage does briefly mentions other Old Ones including Great Cthulhu who is referred to as a cousin that can only dimly spy them (the other Old Ones) and Shub-Niggurath is also briefly mentioned. While this passage may seem contradictory relative to the “Genealogy of the Elder Races,” it emphasizes the point that the typical genetic, family-based relationships we are so familiar with in describing many eukaryotic organisms on Earth do not apply to the Old Ones. These descriptions are only feeble attempts for us to understanding the true nature of the Old Ones. As mentioned earlier, Earth-based biology is obviously very limited in describing the sexual union between Yog-Sothoth and Shub-Niggurath. In a previous article I hypothesized that the sexual union between these entities may not be a re-shuffling of genetic material. Instead, it may represent the birth or creation of matter that is more stable in our existing space-time. As previously hypothesized, the “Darkness” that directly created Shub-Niggurath maybe a manifestation of Dark Matter, which accounts for approximately 23-27% of the stuff in our Universe. 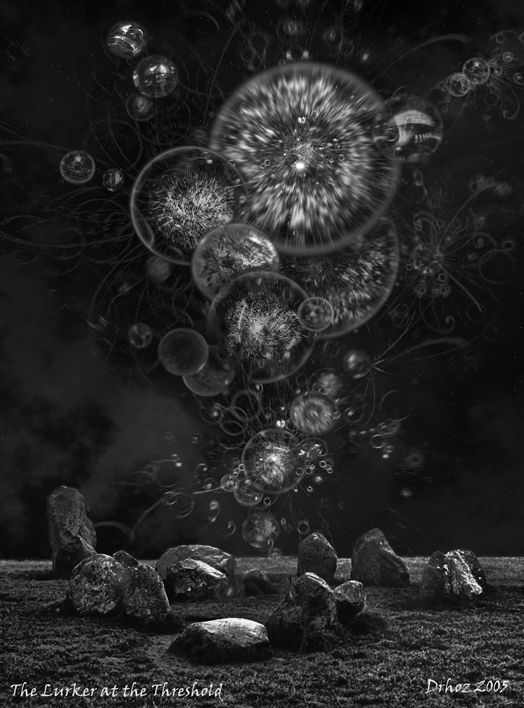 In turn, “The Nameless Mist” that created Yog-Sothoth may be a manifestation of Dark Energy, which accounts for another 68-73% of the stuff in our Universe. This means that the matter we are familiar with, all life, all of the Earth, the planets, the sun and stars, the gases of the nebulae, everything are know and understand as matter only accounts for between 4-5% of the stuff in our Universe. Dark matter and dark energy are not called “dark” because they are distant or invisible; they do not represent black holes or the deep vacuum of space. They are described as dark simply because they are completely unknown to us (The 4% Universe by Richard Panek, 2011) and how we perceive reality. Scientists have over the years begrudgingly recognized dark matter and dark energy primarily due to the fact that most information to date point to an expanding universe, which indicates something must have some type of anti-gravity property to overcome the natural gravitation attraction matter, in turn allowing for the expansion of the universe (www.nasa.gov). Since the matter we are familiar with accounts for such as small portion of the stuff in the universe, some have called our known matter to be just a bit of pollution in our space-time and seem to be completely irrelevant to the cosmos (Richard Panek, 2011). Yog-Sothoth as the gate and opener of the way may have channeled the alien energy from the Big Bang into the alien matter manifested as Shub-Niggurath. Thus, the sexual union between Yog-Sothoth and Shub-Niggurath may represent the creation of that 4-5% of known matter from the dark matter and dark energy of the proto-universe. So Azathoth may have been the Big Bang (more on that later) giving rise to the proto-universe, which in turn cooled and expanded. This then would have created The Nameless Mist (dark energy) which gave rise to Yog-Sothoth and the Darkness (dark matter) which gave rise to Shub-Niggurath. In turn, the “sexual” union produced matter as we know it (Nug and Yeb). Obviously, all of this is highly speculative, with hypotheses that will probably never be tested. However, if we eventually develop the technology and understanding to actually detect or measure dark energy and dark matter, it may be possible to determine if sentience or a cognizant presence is associated with 95-96% of the universe. All of the Old Ones appear to be limited in how they can exist in our space-time in a stable, physical form. This explains their nebulous appearances; as previously described we are not observing their true nature, only a fraction of their forms squeezed into our three spatial and one temporal reality. However, this does not prevent them from attempting to open the way into our reality. For Cthulhu the attempted method is to enter the dreams of beings in our space-time to awaken him. For Shub-Niggurath it is the creation of the Dark Young. For Yog-Sothoth it is the attempted hybridization with Lavinia Whatley and next time we will discuss the Whateley family. Thank you – Fred.